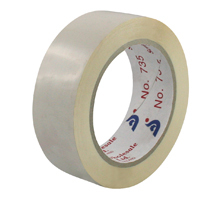 50 micron premium grade packaging tape designed to stabilise and secure the heaviest loads. Superior rubber solvent adhesive stands up to the harshest conditions including freezer use. Packed in shrink wrap sleeves with cellophane divider.